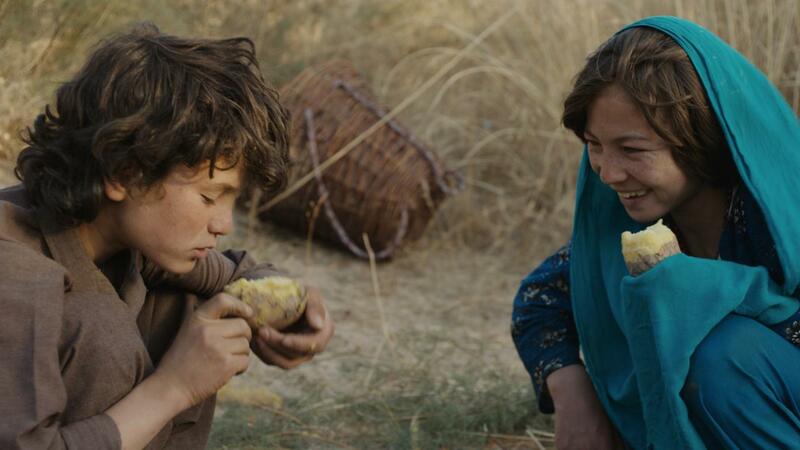 Wolf and Sheep is the debut feature film of young Afghan filmmaker Shahrbanoo Sadat. Through the lives of shepherd children, the film portrays the society of Afghanistan and the stories and traditions of a small remote village who believe in a mythical Kashmir Wolf. Underneath its fur, the wolf is a tall, green, female fairy who captures cruel rich people and takes them up to her mountaintop den. Unsupervised in their work, the cheeky shepherd children own the mountains. Although they know that boys and girls are not allowed to be together, Sediqa and Qodrat bond when they are not accepted by the other children.